When In Need (WIN) Foundation is a 501(c)3 nonprofit and non governmental organization registered both in the United States of America and Nigeria. Since 2012, the WIN Foundation has continued to impact lives globally through its outreach program, Mission Of Mercy (MOM). 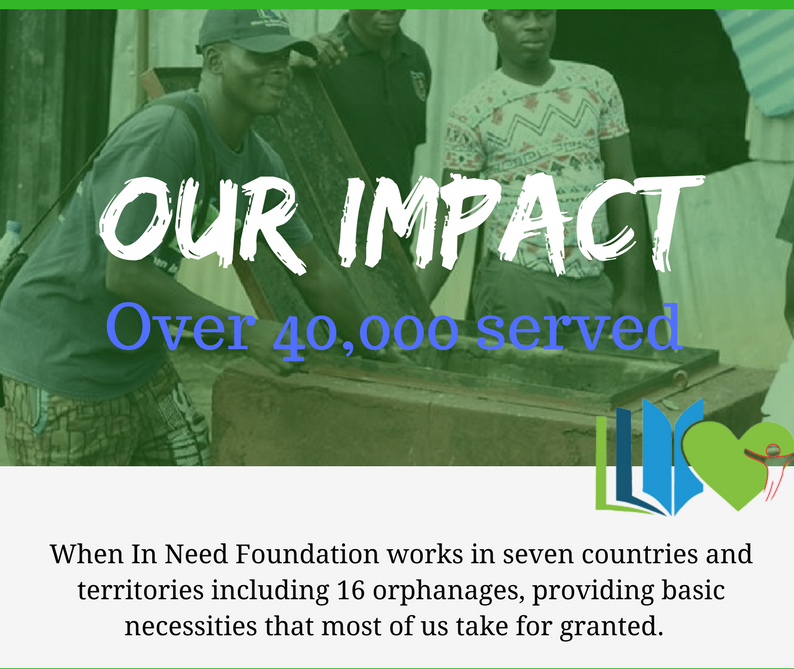 The foundation has assisted many individuals, groups, institutions and communities globally with basic amenities, food supplies, agriculture, healthcare, clean water, farming, rebuilding schools, educational grants and other resources. This year, in efforts to expand our reach and help more individuals in need, we need your support! From April 27 – 29, 2017, the When In Need Foundation will make a Mission of Mercy (MOM) to Ideato Imo state Nigeria. This particular medical mission was inspired by a letter received from a community in Ideato South in Imo State Nigeria. Ideato south has an estimated population of 550,000. Our investigation revealed that this community has been greatly deprived of accessible healthcare, general sustainable development, children’s education and women/youth empowerment. This deplorable state of healthcare has claimed the lives of many in this community. The April mission will be supported by a team of family physicians, ophthalmologists, pharmacists, nurses and several other public health professionals. During the mission, we intend to attend to 6,000 adults and children. Free services to be performed includes physical and ophthalmic examinations ; provision of education and treatments for multiple ailments including hypertension, diabetes, cholera, malaria and typhoid fever; provision of free reading and distance glasses for at least 4,500 people; and offering of preventative health education to reduce the prevalence of communicable diseases. We seek your support and partnership to help extend the hand of charity to those in need in Nigeria through the donation of medical supplies and any other means of support available within your institution’s capacity. Please find attached the list of items needed for our medical mission; we also welcome the donation of any other items not included in this list. If you would like to make a monetary donation for the WIN Foundation to purchase needed medical items, please donate to our GoFundMe campaign at https://www.gofundme.com/seed-a-need-in-nigeria. Thank you in advance for your consideration and we appreciate your support!